I was headed to the gym this morning (really!) when, on my way out the door, I spied this recipe card on the dining room table. 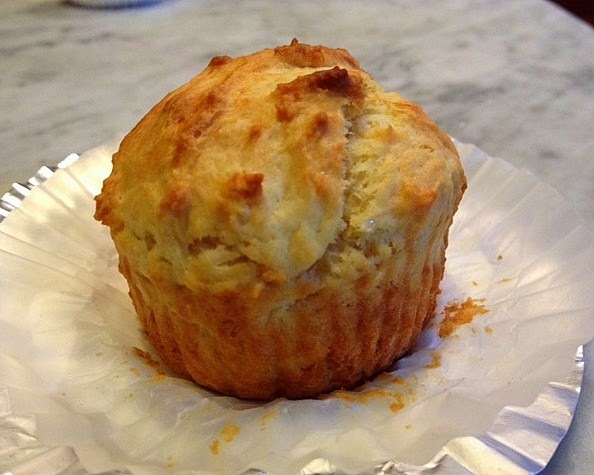 It called my name (in a way the gym never does), so I swapped my sweatshirt for an apron, and put these delicious breakfast muffins together in literally five minutes. 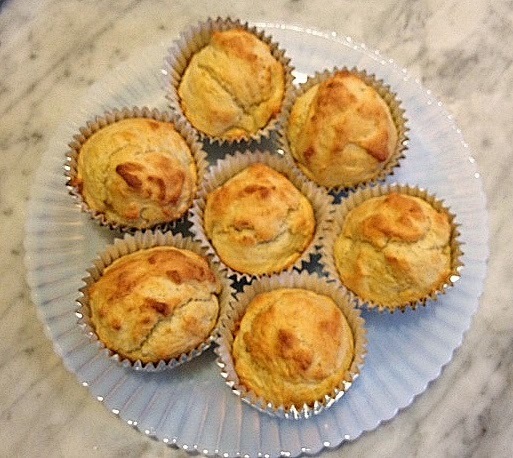 These are old-school style muffins -- simple, small and not overly sweet -- muffins that will not give you the kind of muffin tops you try to avoid by going to the gym. 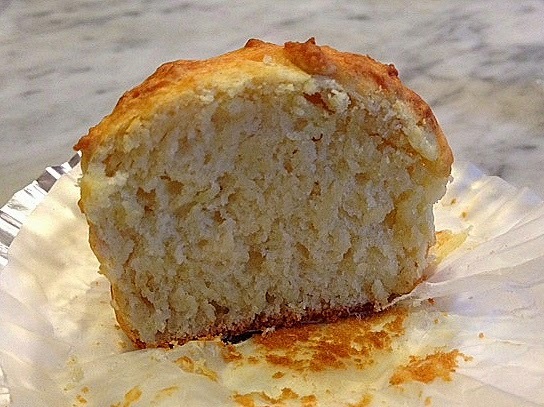 They are the opposite of the huge modern-day muffins sold in delis and bakeries, which are really just muffins disguised as cake (which is fine, but we should all acknowledge them for what they are). Below are all the ingredients you need. and fill the muffin tin. 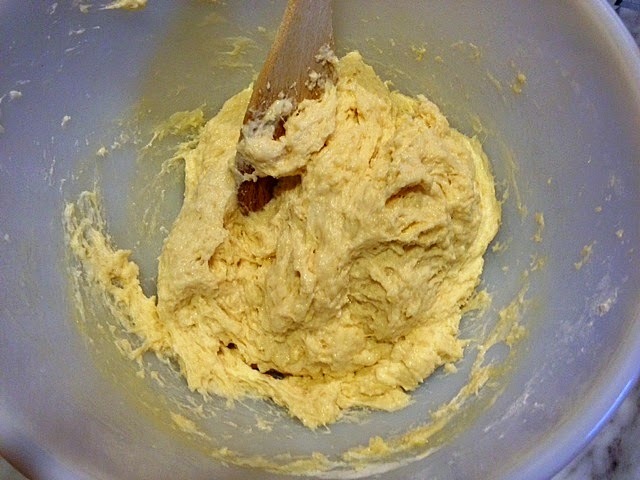 This is a thick, sticky batter. Don't worry that the tops aren't smooth. They will all even out in the oven. Plated, awaiting the arrival of the DH, who did go to the gym this morning. 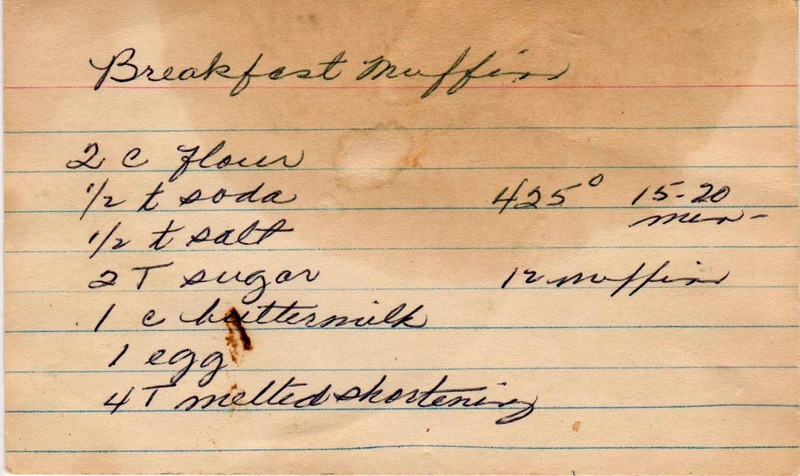 This is one of those vintage recipe cards that's simply a list of ingredients, with no method given. Below, is the way I mixed them. 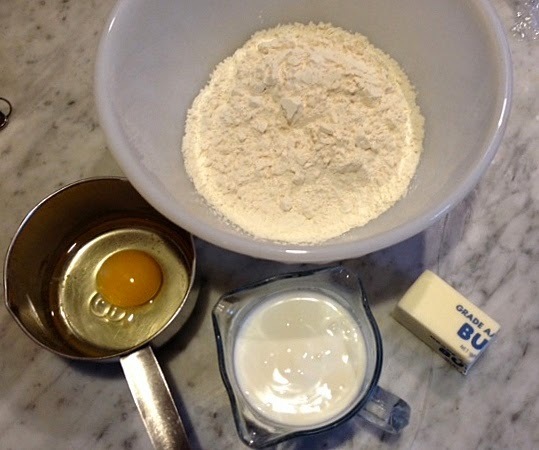 If you don't have buttermilk, you can make your own by adding some vinegar or lemon juice to a cup of milk. Let it stand for a few minutes before using. I used butter instead of shortening, and baked them for 20 minutes. 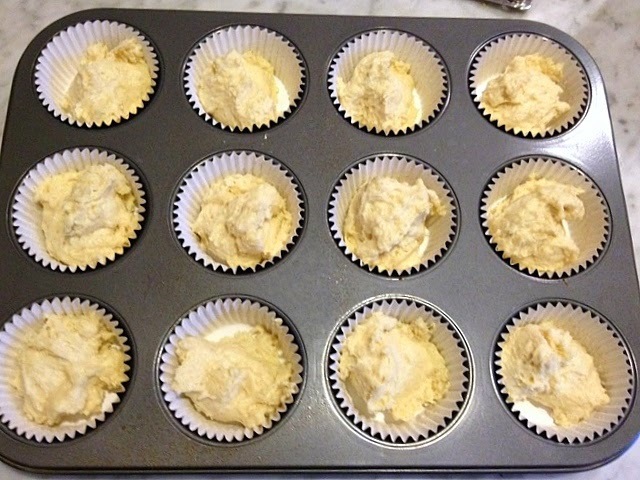 Preheat oven to 425 F. Prepare the muffin pan by lining or greasing and flouring. Mix dry ingredients in bowl. Pour wet ingredients in and mix well. 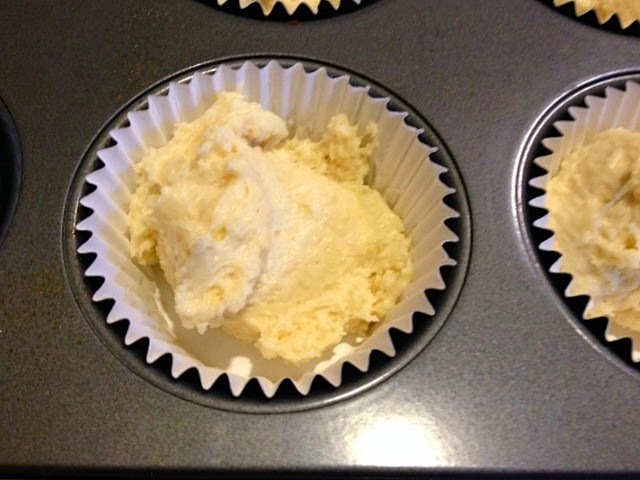 Place into lined muffin pan and bake.